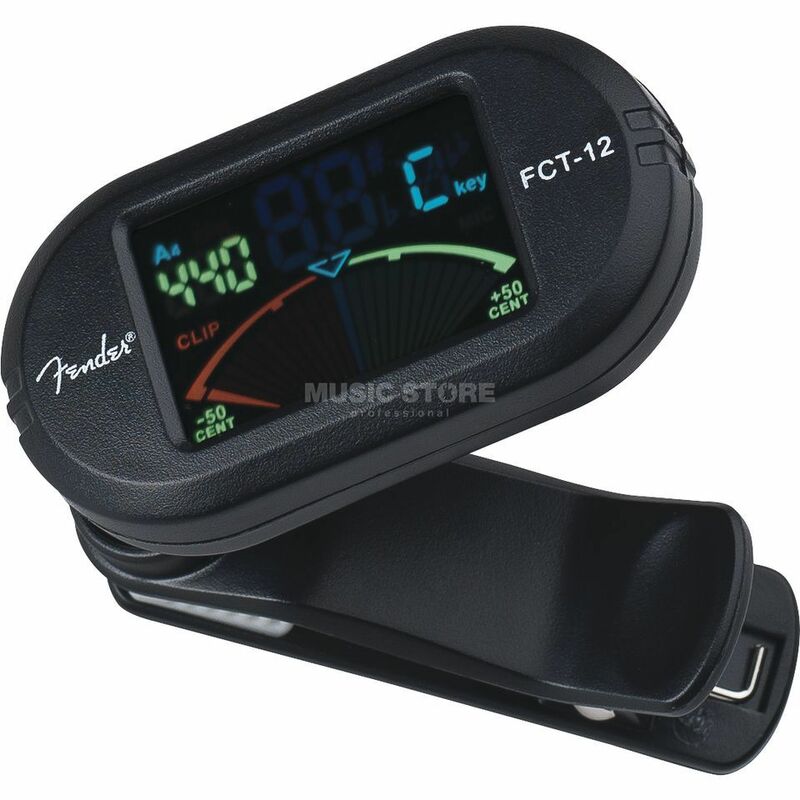 The Fender FCT-012 is a small yet functional clip on tuner. With this portable clip on tuner, you will never be in the sticky situation of having an out of tune guitar when you need it. This tuner is perfect for all guitarists, especially those who are on the road. This little tuner is easily clipped onto every string instrument and it rotates so its easy to read. Ive used it in in louder environments as well because it measures the vibrations of the strings rather than by a microphone, and it really works accurately. The coloured display comes in handy in low-light conditions and it has different settings for various string instruments, including one for my ukulele, so its handy to have around when going for a jam and its so light and tiny it fits in every pocket - just dont lose it! Although their are a few cheaper ones out there, the price is right for the functions it has and its versatility in application! I am satisfied with the services so Musicstore. This equipametno works well. I ask only one technical oreintação of how to use the Line 6 POD KB37, because he had never used and I am not managing to make good use. I would like the delivery of postal services of products to be more agile and not to charge an additional value, such as musicstore proceeded years ago. If you're looking for a simple clip on tuner, then this is the one for you! Very accurate, easy to use, small, and easy to see! ...what more could you want?! ?